ID Fraud is on the increase and although prevalent in the capital, it will no doubt spread throughout the country so take proper steps to counter the risk. A leading credit check company has submitted reports showing the top hot spots where identity fraud is becoming a common day occurrence. East Ham (London) is highlighted as having more than seven times the national average of attempts at identity fraud. Other areas of the capital were also well above the national average which are; Bexleyheath, Cheapside, Enfield, Ilford, Lewisham, Romford, Stratford, Walthamstow and Woolwich. It is unbelievable to find out that the leafy suburb in Cheshire, Altrincham, has the highest level of identity fraud outside of London and stands at having 13 fraud attempts for every 10,000 adults which is three times the national average. Howard Lester, director of the Property Group, said: “...............there are a lot of professional fraudsters out there that want to rent a property purely to secure an address from which they can carry out finance fraud. 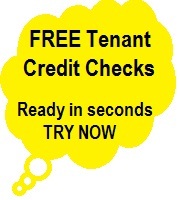 Often, they may pay a few months’ rent in advance, with no intention of paying all the rent due during their tenancy. “Many use the property as a PO box for the delivery of goods they have bought on stolen credit cards. They are very savvy and know they can live in a property for up to six months before a landlord possession order is enforced. In that time, they can run up thousands of pounds in credit card debt and, of course, rental arrears. “These fraudulent tenants can provide authentic looking passports and utility bills. They are also very difficult to evict, as they seem to know their way round the legal system.